Precisely designed Induced Draft Blowers are introducing our company to the customers. 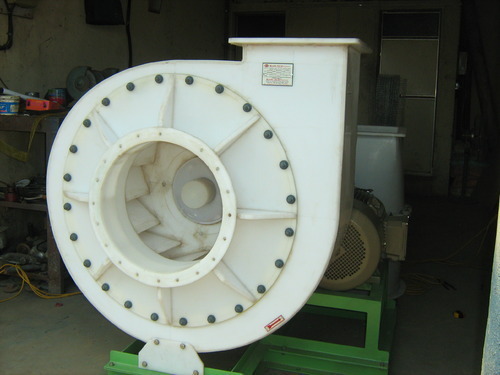 We design Induced Draft Blowers up to 1, 50, 000 CMH for various applications. Impellers are statically and vigorously balanced by our product. Further, it is highly acknowledged by our customers for its maximum performance at optimum power consumption. Integrated came into existence in the year 2011 and we are one of the prominent Manufacturer, Exporter, and trader of Dust Suppression System, Pollution Control Equipment, Piping Systems, Gas Cooling Systems, etc. Owing to our stringent focus on developing high-end manufacturing technology for production we have made us a forerunner enterprise in this domain. These products are widely appreciated in the market for their outstanding performance, high accuracy, robustness and long functional life aspects due to their modern age fabrication techniques. Moreover, we have attained wide customer satisfaction through our ethical business policies. Keeping track of latest industrial developments, we have developed our infrastructure system which encompasses ultra modern manufacturing, quality inspecting and warehousing unit. We put a efficient use of manufacturing and quality unit for making the qualitative assortment of products as per latest industrial norms. Furthermore, with the incorporation of adroit personnel, we have gathered vast clientele base to serve with cement, power, chemical, mining, paper, steel industries as prestigious clients.